The Masters field is chock-full with big names, but who are the players worth betting on? Our golf expert offers his favorite picks, sleepers and his prediction on who will claim the green jacket. As usual, narratives are in abundance as the world’s best descend upon Augusta National: Can Rory final complete the career Grand Slam? Can Tiger complete—like, really complete—the greatest comeback in the sport’s history? 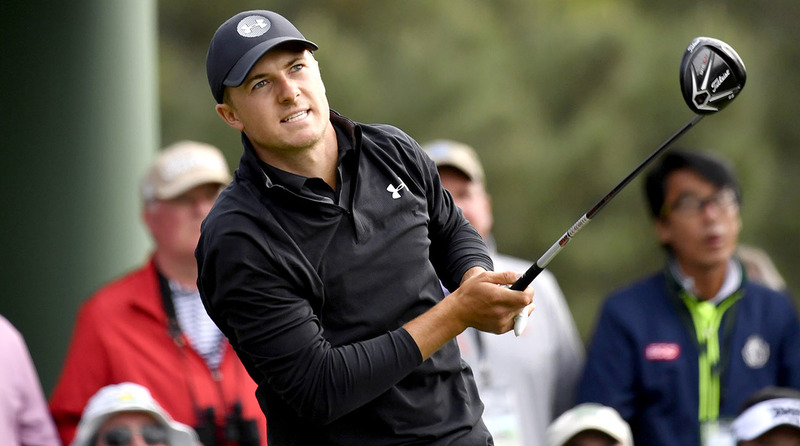 Can Jordan Spieth finally get out of this 10-month slump and continue his ridiculous success at Augusta? Tiger Woods (+1400) The results this year haven’t been poor but they also haven’t been particularly inspiring, as he hasn’t finished closer than eight behind the winner in a stroke-play event. His history at Augusta is well-known—four victories, 13 top-eight finishes—but he hasn’t contended here since 2011 and hasn’t won it in 14 years. The ball striking remains solid, particularly the iron play, but he’s struggling on the greens with speed control, and Augusta National is about the last place you want to be struggling with speed control. Would it be shocking if Tiger found a way to get himself on the first page of the leaderboard? Of course not. But am I expecting it? No. Jordan Spieth (+1800) He’s played Augusta better than anyone over the past five years—T2-WIN-T2-T11-3—and he’s had at least a tie of the lead after nine of the 20 Masters rounds he’s played…and here comes the but. And it’s a big one. Spieth has no top-10 finishes anywhere since last year’s British Open (a streak of 15 events), he ranks outside the top 100 in virtually every ball striking stat this year and he’s yet to put together an under-par weekend all season. Perhaps the familiar drive up Magnolia Lane will jolt his game into gear, but as the sixth favorite, he presents little upside here. Others I’m staying away from: Jason Day (+2800), Phil Mickelson (+4000), Bubba Watson (+3300), Patrick Reed (+5000). Gary Woodland (+8000) Woodland is sixth in strokes gained off the tee (hugely important around these parts), eight in strokes gained tee to green and second in birdie percentage. He also loves to shape the ball, which should help him take advantage of holes like the par-5 2nd and 8th. His history at Augusta is poor—he’s 21 over par in his last four rounds here, leading to two missed cuts—but he seems to have turned a corner and is having probably the best, most consistent season of his career. Also proved at last year’s PGA Championship that he can hang in the biggest events. Ian Poulter (+8000) Poulter has four top-six finishes worldwide this year, including a T3 at the WGC-Mexico Championship. Plus, he has a sneaky good history at Augusta, including three top 10s. Best of all, Poulter is the furthest thing from a guy who is going to fold if he’s near the lead on a Sunday. You can’t ask for much more at 80-1. Paul Casey (+2600) My favorite bet of the week. Casey has a very impressive record at Augusta, with four finishes of T6 or better, and he enters playing some of the best golf of his career. In his last seven starts, he has a victory (Valspar), two seconds (Pebble Beach and a European Tour event), a third at the WGC-Mexico Championship and he won his group at the match play. At 41, he’s running out of realistic chances to win a major, but he absolutely has one this week. Hideki Matsuyama (+3300) Statistically, he checks all the boxes. High–ball hitter? Check. Good record at Augusta? Check (for straight top 20s, including a solo fifth in 2015). In good form coming in? Check (T3 at Torrey Pines, T9 at Riviera, T8 at the Players). He also ranks second in strokes gained approach this season. The issue here is with the putter, as Matsuyama often struggles to hole the mid-length putts you need to win a major. But if he can have just a slightly above average putting week, he strikes it well enough to win. Tony Finau (+4000) Had one of the more eventful Masters debuts last year—after an ace in the par 3 contest, he badly turned his ankle while celebrating…then shot 68 on Thursday and 66 on Sunday, on an ankle the size of a softball, to finish T10. He’s long enough to dominate Augusta’s par 5s and turn the course into a par 68, and his short game is deceptively good. I just wish he’d have shown more this year, as his best finish in 2019 is just T15. Francesco Molinari (+2200) Let’s get this out of the way first: Molinari hasn’t cracked Augusta’s code yet. He doesn’t have a finish better than T20 in seven tries, and he’s shot as many rounds in the 80s here (one) as he has in the 60s. But stick with me—the Molinari of the last 11 months feels like a completely different player than the Molinari of the 35 years prior. He’s added distance, he’s putting way better than ever before and, most compellingly, he’s turned into a cold-blooded killer. We saw it at Carnoustie, we saw it at Le Golf National and we saw it at Bay Hill, three distinctly different golf course. Who is to say he can’t do it again at Augusta? Justin Thomas (+1800). The only thing he hasn’t done yet this year is win. He has a second and two third-place finishes, and despite a meh last couple weeks (T30-T35-T24) the stats remain fantastic: fourth in strokes gained approach, fourth in strokes gained tee to green, 10th in strokes gained around the green, third in strokes gained total, first in birdie percentage, first in scoring average…we could go on. His Masters history isn’t anything to write home about, but he’s trending upward (T39-T22-T17). At 25, he already has nine wins and a major on his resume, so there’s clearly no issue closing the deal when he gets the chance. Despite being No. 5 in the world, he’s flying under the radar this week. I genuinely think he’s going to win, and at 18-1, he offers terrific value.